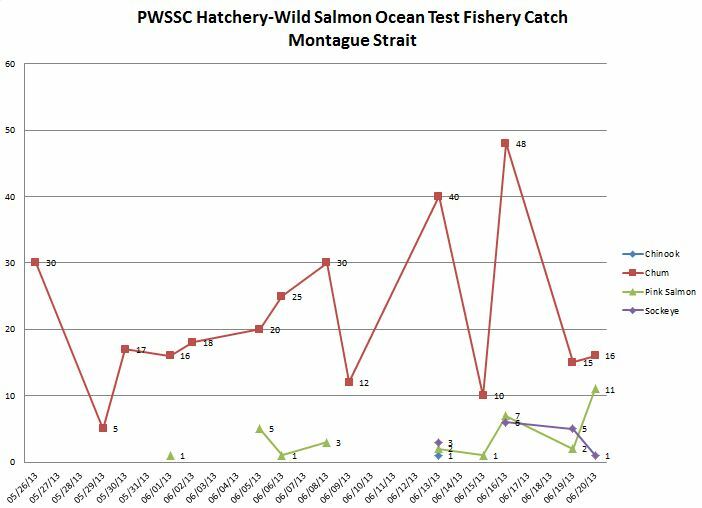 On June 21, we concluded the fourth week of ocean test fishery sampling for salmon at the entrances of Prince William Sound. When we receive the salmon for processing they are separated by location. We take length and weight measurements before we extract the otoliths. Otoliths are ear “stones” that are encased within a fish’s brain cavity. Otoliths are structures that grow in layers as the fish grows, therefore they can tell us the age of the fish, much like growth rings in the trunk of a tree. Otolith formation is also responsive to temperature, and can tell us about the life history of a fish. 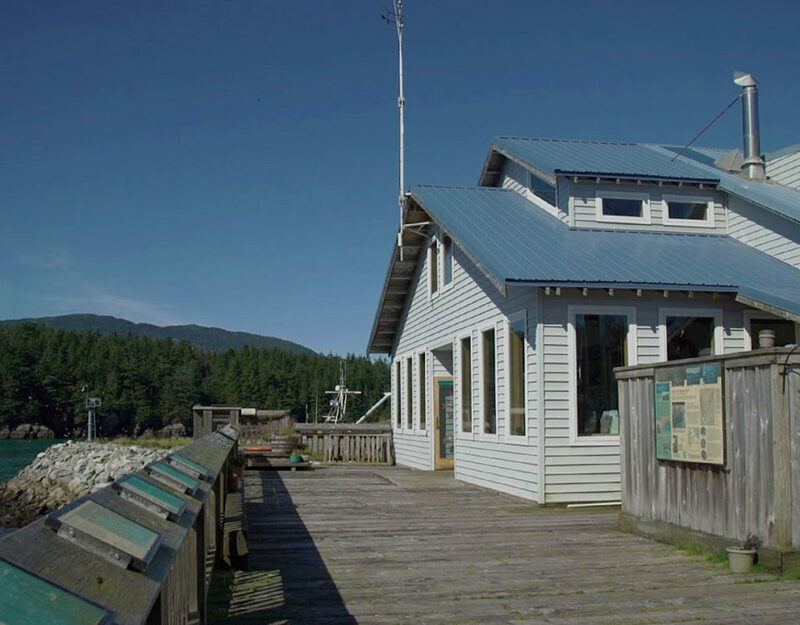 Hatchery-born fish in Prince William Sound are purposefully subjected to changes in water temperature to produce what is called a “thermal mark” on the otolith. 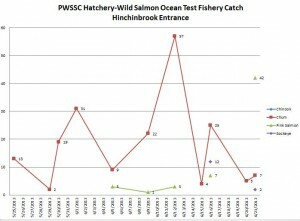 Thermal marking distinguishes hatchery-reared fish from wild fish. 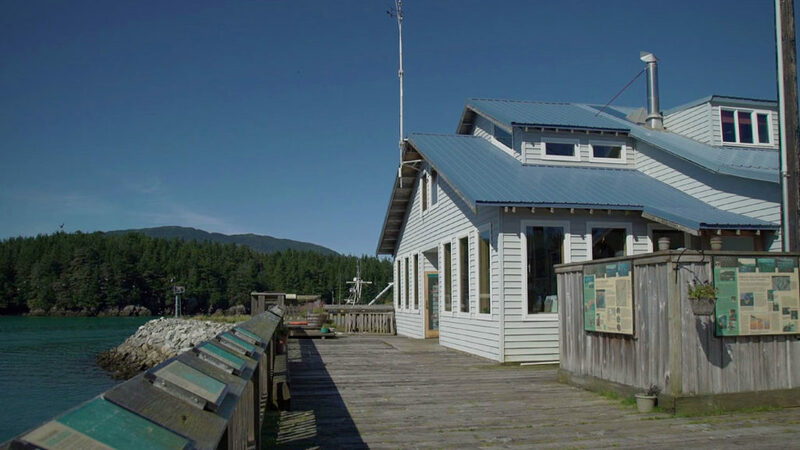 Collecting otoliths for analysis from salmon caught in the ocean test fishery will help the Alaska Department of Fish and Game determine the relative proportions of hatchery and wild salmon as they return to Prince William Sound. 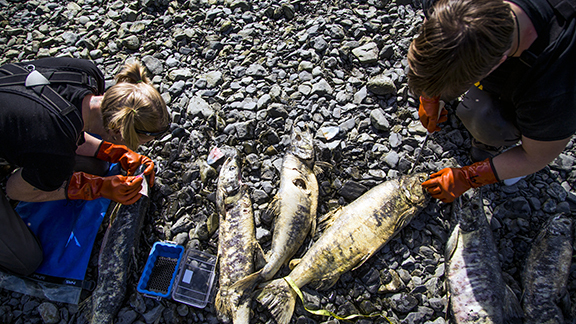 You can learn more about how the State of Alaska processes otoliths at the ADF&G otolith lab website. 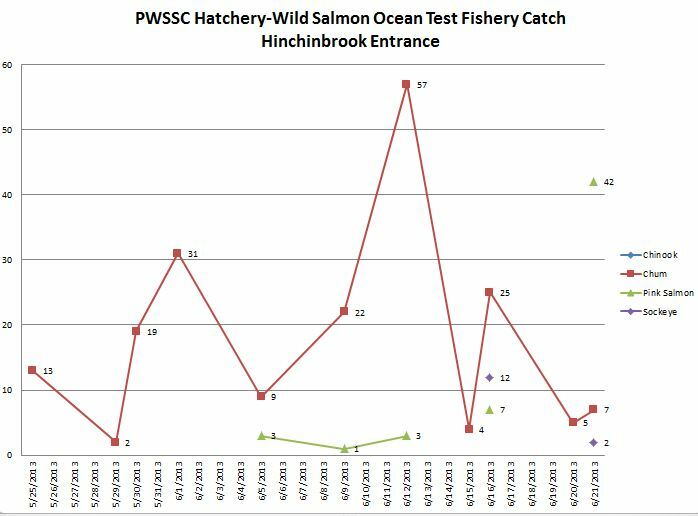 Below are graphs of the species of salmon we have processed and the locations where they were caught by date. 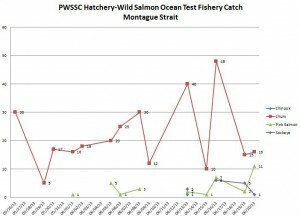 For more information about the project go to our main Hatchery-Wild page.